A study suggests that the length of time that a baby looks into other people’s eyes may help provide sign whether the infant may likely develop autism. Researchers from the Marcus Autism Center and Emory University found that infants who later developed autism began spending less time looking at people’s eyes between 2 to 6 months of age. The infants paid less and less attention to the eyes as they grew older. 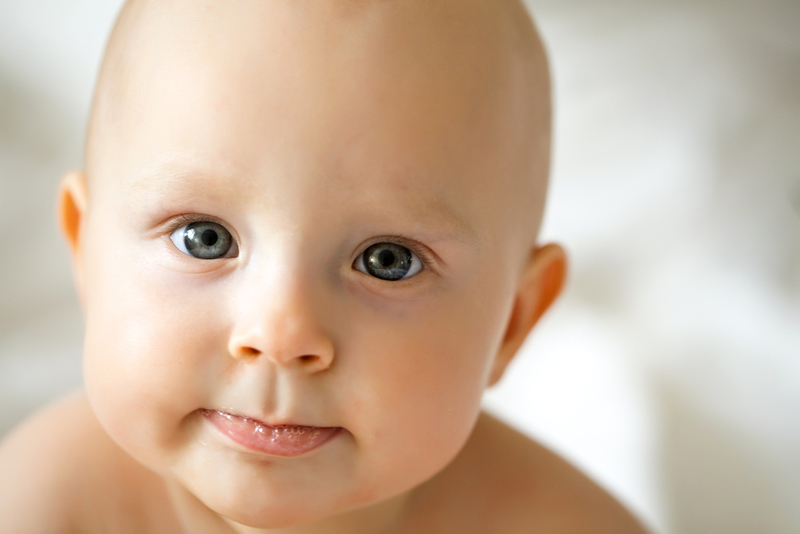 On the other hand, babies who did not develop autism made increasing eye contact with people until about 9 months old. Warren R. Jones and Ami Klin, the lead authors of the study also found out that infants who showed the steepest decline in gazing at people’s eyes also tend to develop the most severe autism. Autism is a type of disorder that is characterized by impaired verbal and non-verbal communication and social interaction. It is also associated with repetitive behavior. The disorder has been associated with impaired nerve cells that affect how signals are relayed to the brain. This affects information processing in the brain, resulting in how kids with autism behave. Dr. Jones, who is the director of research at the autism center says, “Kids whose eye fixation falls off most rapidly are the ones who later on are the most socially disabled and show the most symptoms. These are the earliest known signs of social disability, and they are associated with outcome and with symptom severity. Our ultimate goal is to translate this discovery into a tool for early identification” (of autism in children). The study authors made use of eye tracking technology to monitor an infant’s gaze and its target. The researchers studied two groups of infants. One group was at high risk for developing autism, about 20 times more likely since they have siblings who also have autism. The other group of babies have a low risk of developing autism, babies who have no known relatives who have the disorder. The authors and their team of researchers assessed about 110 kids , with ages between 2 months to 2 years of age. The kids were made to watch videos of friendly women who acted like playful caregivers in front of the infants. This was done 10 times during the course of the study. Eye tracking technology was employed to determine if the infants were looking at the women’s eyes, mouths or bodies, or whether at the toys and other objects in the background. By the time the kids reach the age of three, they were further evaluated for autism. After the evaluation, the researchers were able to use data from 36 boys, 11 of whom eventually developed autism. Data from the girls were excluded because only two developed the said disorder. The researchers found out that the kids who later developed autism were paying more attention to the mouths and sustained attention to bodies past the age when the many normal children became less interested. Not only that, the kids who developed autism were looking more at objects even after the first year, the time when normal kids’ interest on objects begins to wane. The discovery may eventually lead experts to develop certain therapies for autism as early as 18 months. Currently, kids are being assessed or evaluated for autism when they reach three years old. The new study may help shed light on how early begin to show signs of autism. Results of the study are published in the online journal Nature.